DoNotPay, that helps users appeal parking tickets for free in the UK. Browder, then 19 years old, described it to Business Insider as one of the world’s first robot lawyers. 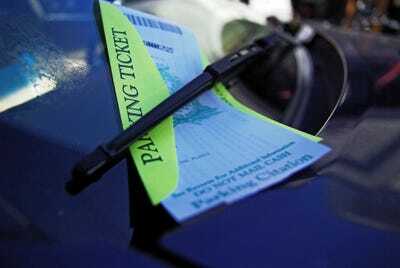 It overturned over $US3 million in parking fines in a few months. Starting July 12, the bot is now available in all 50 US states. It then gives users detailed instructions on how to fill out the application, which they mail to court. Beyond parking tickets, Browder’s bot can also help with delayed or canceled flights and payment-protection insurance (PPI) claims. Although the bot can only help file claims on simple legal issues — it can’t physically argue a case in front of a judge — it can save users a lot of money. Depending on the case and the lawyer, an appeal — a legal process where you argue out of paying the fine — can cost between $US400 to $US900. The bot is based on a conversation algorithm, meaning it uses keywords, pronouns, and word order to understand a user’s issue. Browder previously told BI that the more people use the bot, the more intelligent it becomes. The algorithm can quickly analyse large amounts of data while improving itself in the process. Browder told The Verge that the bot has helped strike down 375,000 parking tickets in the last two years. In early 2017, Browder also developed another version of DoNotPay that helps the homeless apply for government housing in the UK. It works with Facebook messenger in a similar way to the site (by asking users questions to learn more about their case, and then spitting out an appeal letter). While Browder doesn’t think robots will debate in the US Supreme Court anytime soon, he believes that, as artificial intelligence technology progresses, fewer lawyers will do mundane tasks.